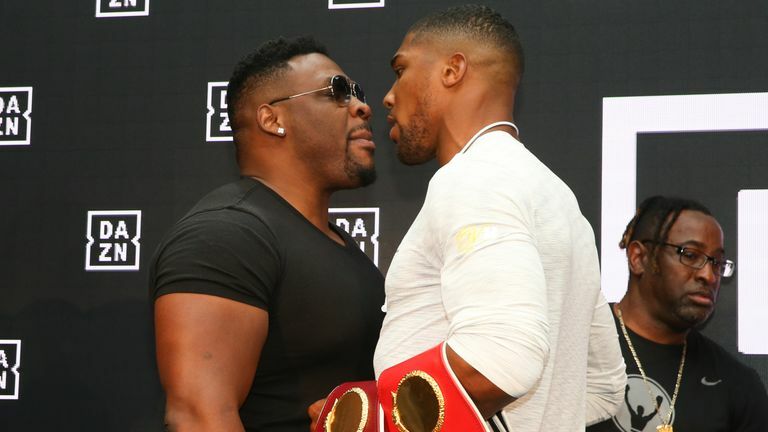 Eddie Hearn believes Jarrell 'Big Baby' Miller is a "real threat" to the heavyweight division and says the unbeaten American could face Anthony Joshua in 2019. Miller was touted as a future opponent for Joshua after the heavyweight pair clashed at a DAZN press conference earlier this year, in the build-up to the Briton's fight against Alexander Povetkin. The New Yorker, who holds a professional record of 21-0-1-KO18, will be confirmed as the mandatory challenger for the WBA 'regular' heavyweight title if he beats Tomasz Adamek this weekend, live on Sky Sports. Hearn expects Miller to overcome Adamek and take another step closer to facing Joshua. "He is mandatory for that WBA 'regular' world title. He'll be looking at Fres Oquendo and Trevor Bryan, trying to get a shot at that next," said Hearn. "Big Baby Miller is keeping nice and active. He's had some good wins - he's stopped Mariusz [Wach], which not many people do - he had a good win over Johann [Duhaupas]. "Now he's in with Adamek. "Miller is a real threat to the heavyweight division - a big puncher, huge in size and very, very strong. "He's more durable than he looks. Of course he wants a shot at Anthony Joshua, everybody does, but I think his next move, realistically, is to challenge for the WBA 'regular' title. "Then he can try and force a fight with Joshua towards the end of 2019."